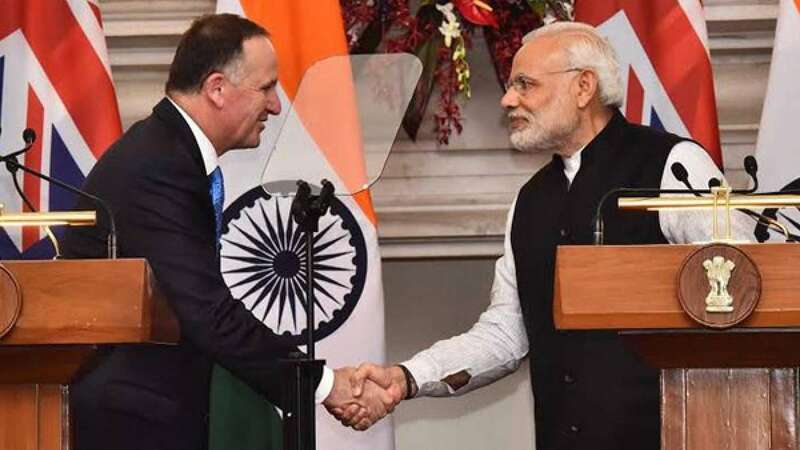 New Delhi : Prime Minister Narendra Modi met his Kiwi counterpart John Key in New Delhi and talked about strengthening ties between the countries in areas of trade, defence and security. Both the leaders also talked about India’s bid for permanent membership in elite NSG. The talks remained favour of India as John Key assured 'constructive' approach from New Zealand towards it. Prime Minister Narendra Modi, during a joint press conference, came up with a special mention of it and thanked John Key for his support to India. "I am thankful to Prime Minister Key for New Zealand's constructive approach to the consideration of India's membership of the Nuclear Suppliers Group (NSG)," said PM Narendra Modi. "New Zealand would continue to contribute constructively to the process currently underway in the NSG to consider India's membership," said John Key. New Zealand acknowledged the "importance to India of it joining the NSG", a joint statement issued after the talks said, adding that India stressed that this would provide the predictability necessary for meeting India's clean energy goals in the context of the Paris agreements. New Zealand is among one of those countries which had objected during the last NSG plenary in South Korea in June, saying no exception can be made for India which is a non-NPT country.